Thanks to the jet lag we were up early. The breakfast buffet was pretty extensive so we took our time to strengthen for the day. 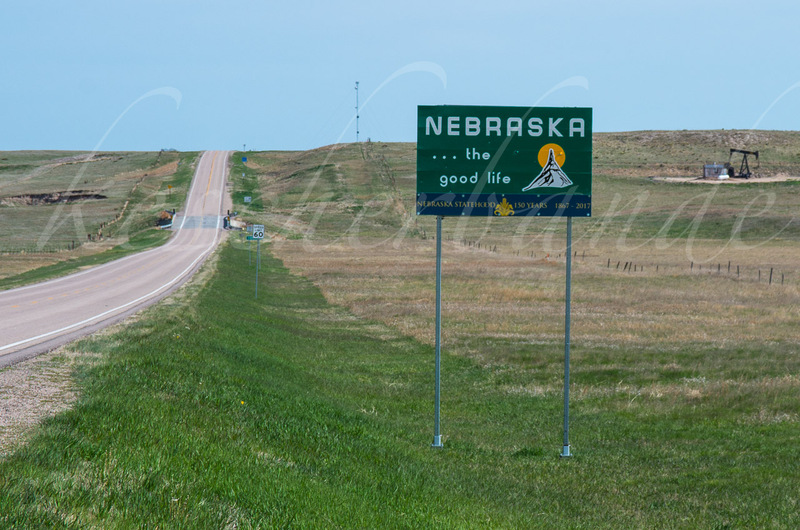 Our drive of about 550km to Rapid City would take us on seemingly endless roads from South to North through the whole state of Nebraska. On the way to our first stop we encountered a stray bison that was crossing the road just behind a low hilltop. I was wondering why the car in front of us was swerving when we came over the top too and saw the bull trotting slowly on the right curb and away from the road. Unfortunately this happened so fast that we didn’t have time to take a photo. But we should see more bisons later on. 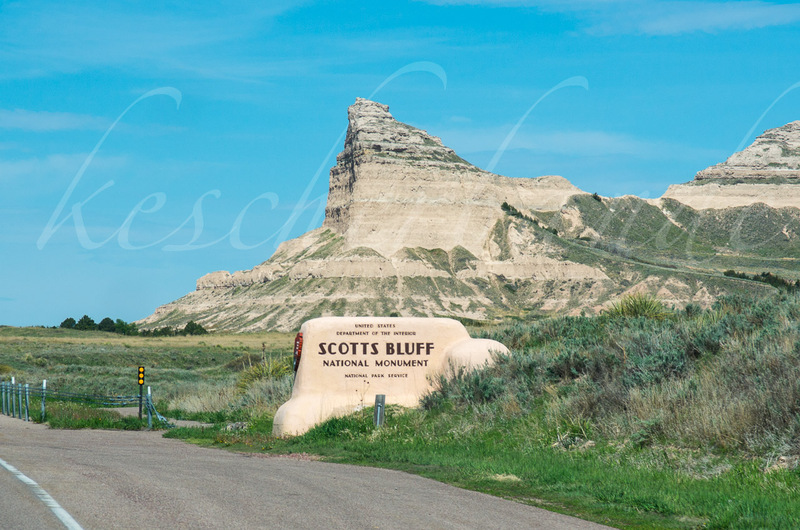 Scotts Bluff National Monument After about 2 hours we reached Scotts Bluff. With a height of 800 feet you can’t really miss this landmark in the mostly plain landscape. 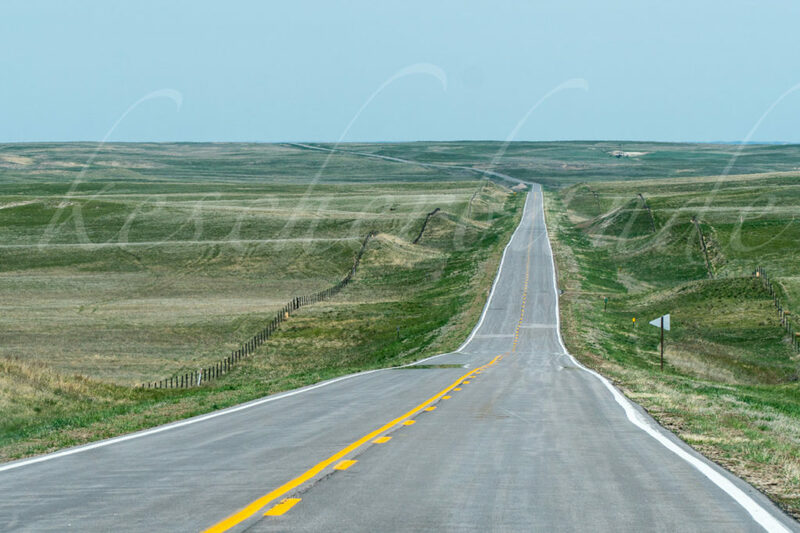 The American Indians knew it by the name Me-a-pa-te which means „hill that is hard to go around“. Our plan was to hike up and take a look around but at the visitor center we learned, that the trail up was closed due to a rock slide. So instead of hiking we had to take the car to the top where we just hiked the two short trails up there (North and South Overlook Trail) and stretched our legs while enjoying the views over the plains. After the hikes we continued our way in northern direction. 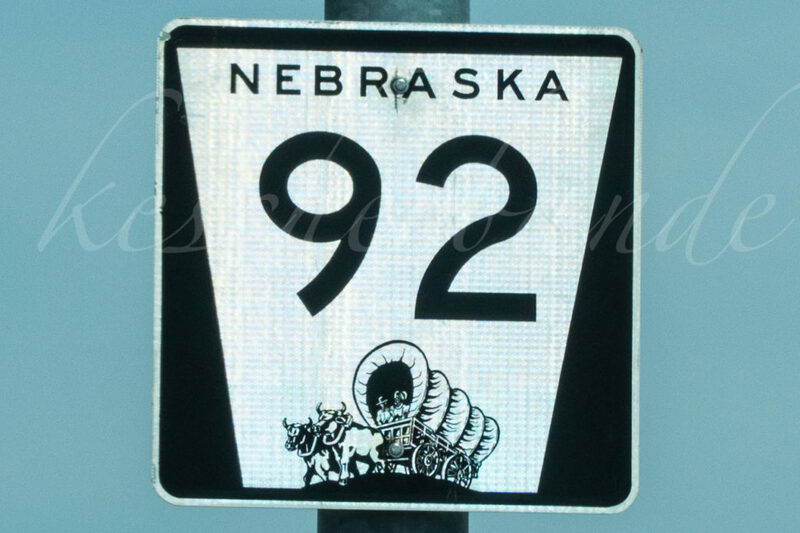 You expected to come across some settlers with their covered wagons after each of the countless rolling hills but the only ones we saw where on the road signs. After another hour of driving we reached our second stop of the day. 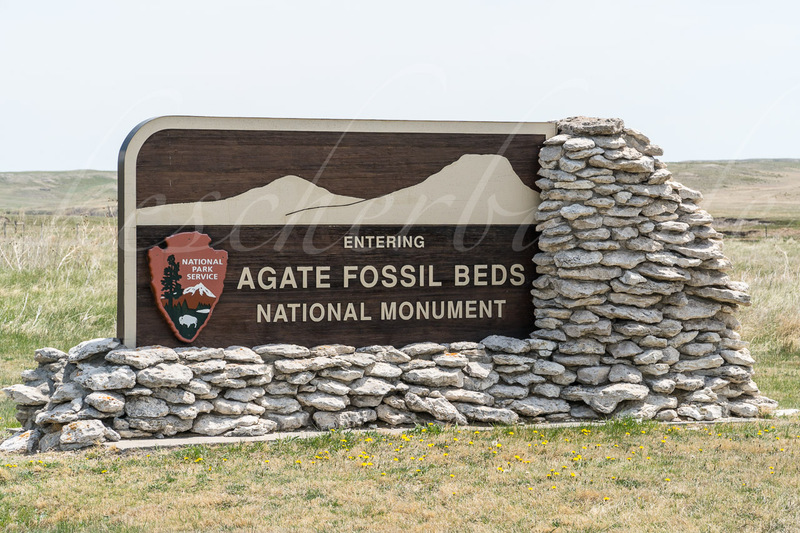 Agate Fossil Beds National Monument As the name suggests this National Monument is home to a lot of fossils. 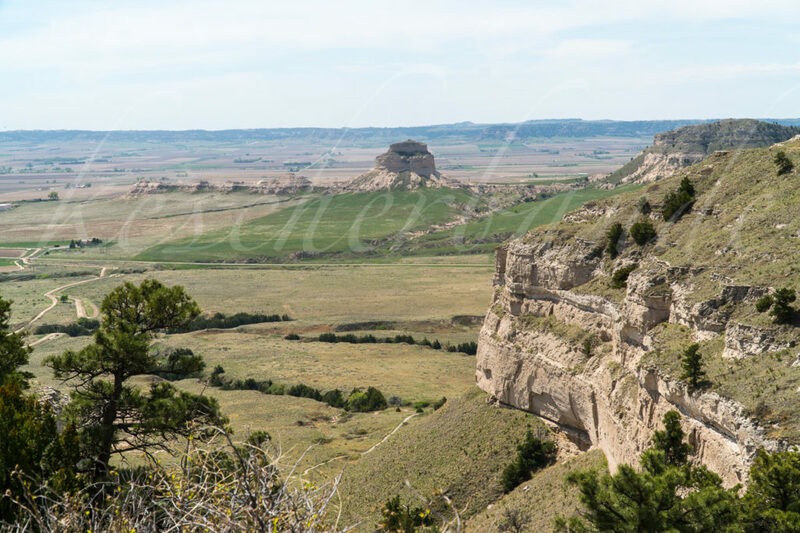 About 20 million years ago the western Nebraska plains where struck by a drought. Without enough food and water, hundreds of animals died around the few shallow water holes where over the years they were buried and preserved by deposits. We took a hike on the Fossil Hills Trail to see where most of the digging took place. Unfortunately for the inexperienced eye there was not much to see in terms of fossils but on the way back we encountered a snake that was just about to cross the trail. It looked like a rattlesnake at first but it had no rattle. Anyway we waited in safe distance for it to pass and headed back to the visitor center. 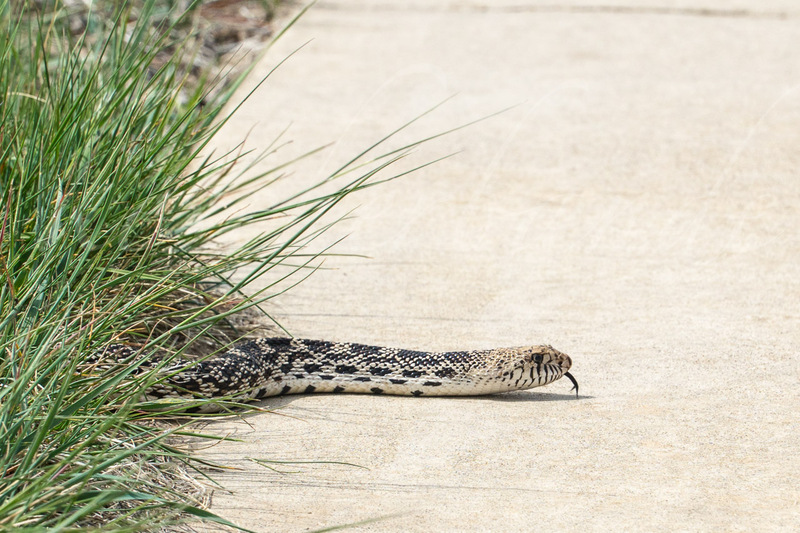 We asked on of the rangers and after a looking back and forth between our photos and his classification book he finally concluded, it must have been a non-poisonous bullsnake. Since it was already early in the afternoon we decided to skip the second trail at the monument, the Daemonelix Trail, and head on to Rapid City. 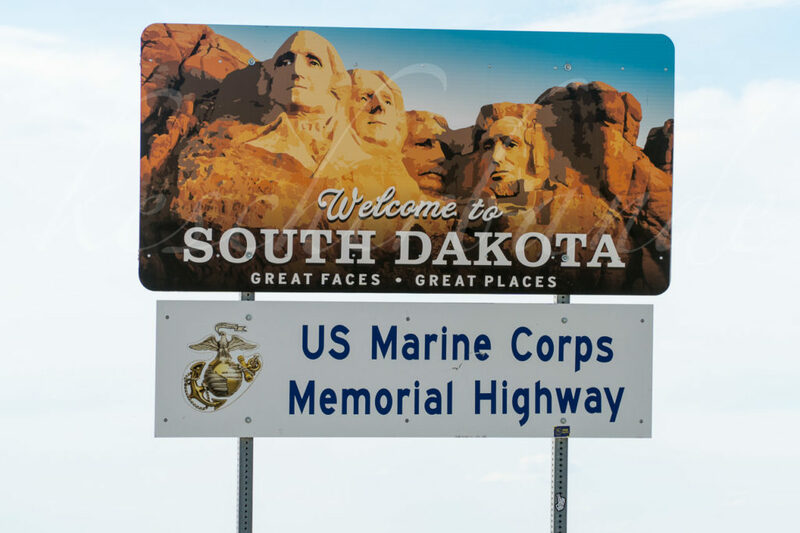 When passing the state border we were greeted by the four gentlemen, we would soon meet in person. We checked in at the hotel in Rapid City at 5:30pm which left us with enough time to explore the local Walmart and shopping center before putting our legs up.